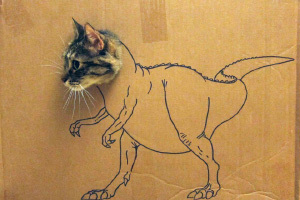 If you enjoyed this gallery, you may also like Dinosaur Cats, Steve Buscemi Cat, and Cat Tank Army. What place on Earth hangs their Sausage out to dry , tell me so I can never go there ( terrible Masonry work as well ) . Shame on the owners where chocolate’s involved. It’s toxic to cats (and dogs).